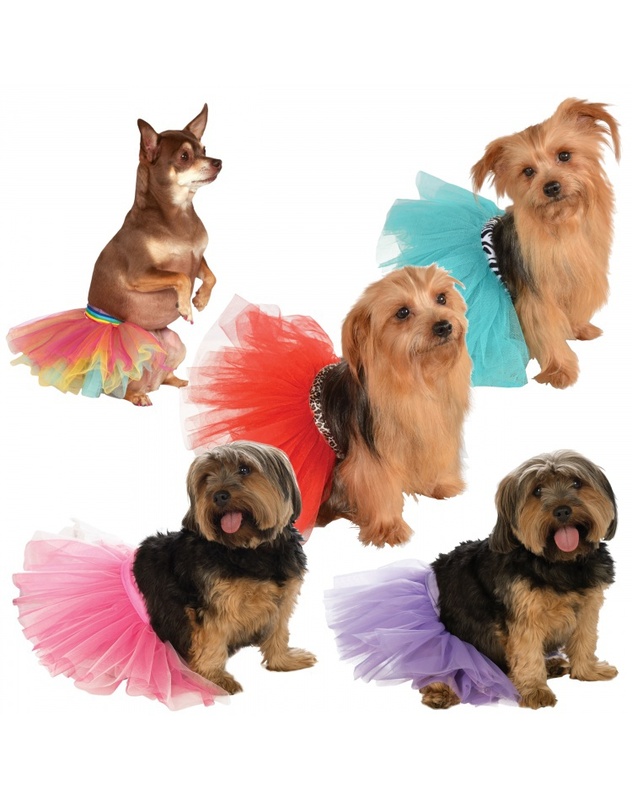 This fun and frilly dog costume includes one pretty tulle dog tutu. This dog tutu is available in your choice of rainbow, red with zebra trim, turquoise with leopard trim, purple or pink. The red and turquoise tutus feature a cute contrasting animal print waistband. 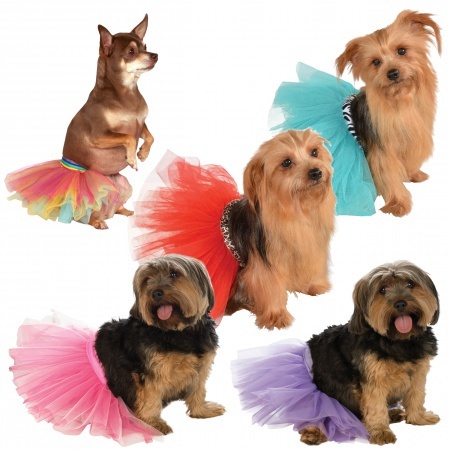 This dog tutu comes in pet sizes Small/Medium, Medium/Large. Each dog tutu is sold separately.